Toshiba Tec Corporation (Tokyo, Japan) is the leading provider of technology solutions for different industries like retail, business, education, manufacturing and hospitality. 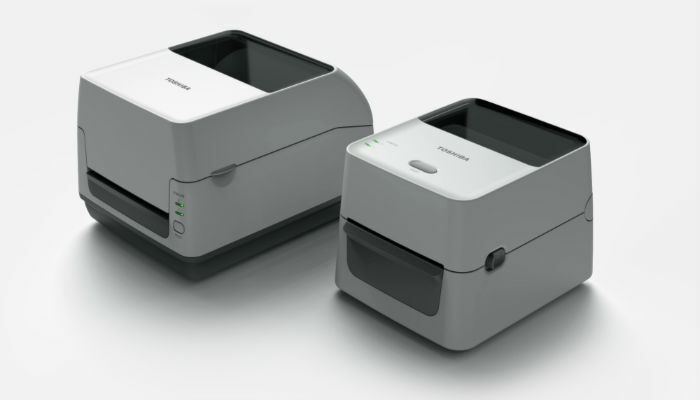 Meet the new cost effective and easy to use B-FV4 series printers for desktop labeling solutions. They aim for retail, industrial, logistics, healthcare, courier and commercial services and will help enhance productivity, while meeting the special demands of their customers. The both B-FV4 series models (B-FV4D and B-FV4T) possess compact, sleek and stylish design to fit into any environment like a front counter at reception. Their rugged and powerful features make them precisely suitable for consecutive prints (e.g. shipping labels). The models are faster then the previous Toshiba printers (first label print is 13% faster and batch printing is 8% faster). Toshiba B-FV4 series is manufactured with nature in mind. Both printers have low energy consumption and are Energy Star qualified. Moreover, the B-FV4D model uses linerless label material to reduce waste by eliminating the need for the backing liner. Toshiba continues to improve its products and solutions helping their users operate their businesses more efficiently. This entry was posted on Tuesday, December 16th, 2014 at 10:59 pm	and is filed under printer, Toshiba. "New Super-Productive Color Printer From Xerox"